Binary Tattoo’s message has always been to educate people about the technology they are using so that they can enjoy it while understanding the pitfalls and risks. As such, I find I tend to focus a lot on the negatives and why social media can be dangerous. This time I wanted to extol all the virtues of social media. I could just shout “I love social media” from a roof top, but this is not a romantic comedy and I am talking about a thing, not a person. 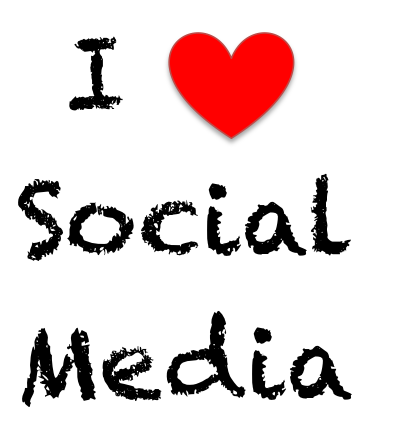 Instead, here are my top 7 reasons to love what social media has given to us. Years ago when you wrote a song, painted a picture or did a great stage performance, there was no way to share that without having someone be in the presence of the actual art. Now we have Tumblr, YouTube, Instagram, and Pinterest. Photographers, performers, and artists of all kinds, have an amazing way to both share and display what they do. It is allowing their fans to get access to their work and allowing the artists to showcase themselves to a broad audience. There are many people from high school with whom I would have lost touch without social media. I also have family members that live far away so I miss seeing my nephews/nieces grow up. Thanks to Skype and FaceTime, we can talk face-to-face. Thanks to Facebook and Google+, I follow the people I care about and in return I know what they are up to. I think it is amazing that there are people reading this right now that live all over the world. I have Twitter and Facebook followers I have never met that come from Australia and Asia. Social Networking has allowed us to reach beyond local barriers to international communities. If you run a business, you’ll probably benefit from global exposure. Your information is accessible anywhere. Last time I checked the news station, there were some things I cared about and some I did not. Now you cater your news feeds to what you want to read about; Local news, local stores/groups, science discoveries, celebrity gossip, you name it! With Twitter you can even follow the actual celebrity or community leaders you care about. This has been one of my favourite parts of being online. You meet people like you and, depending on how esoteric your interests are, those people may be hard to find near you geographically. I have gained a lot from being part of a local women’s entrepreneurial group whose method of communication is through social media. I do not see many in person but these women are from my region which means their advice on local services and groups is particularly relevant. With viral videos and articles, it is easier than ever to get the word out about worthy causes which are important to you. You can get a petition going, raise money for your cause or increase awareness about important issues. Lots of charities use Facebook pages and Twitter to engage an audience much younger than their traditional one. You can fill your news feeds with people who make you feel good. I chose people/groups/businesses whose updates I am interested in, and whose posts are educational, enlightening or entertaining. Hide the ones that are negative or that make you feel badly. You can always visit their home page when you want to. This way, your feed can be consistently uplifting and interesting. Social networks are for socializing! Although (as with anything) it is possible to overindulge, social networks are a fantastic way to connect with old friends and new people by interest or need. Stay safe online, but above all HAVE FUN!